One night not too long ago, my friend Danny stayed up way past his bed time perusing this site’s Chinese food archives. I’m not sure what possessed him to do such a thing, but after spending a solid hour or so with my blog, he concluded that it needed more Taiwanese food representation. Considering there are only four entries dedicated to Taiwanese food, one of which is distinctly Shanghainese, I couldn’t argue with his assessment. 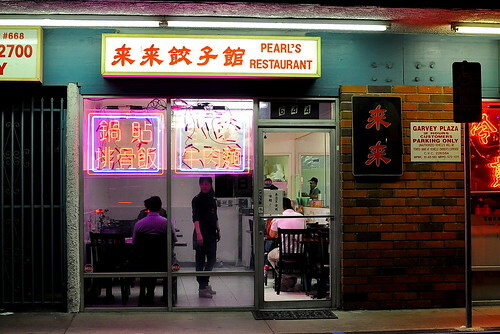 And that is how I found myself at Pearl’s Restaurant in Monterey Park on a recent Friday night. While I’ve eaten at Sam Woo located a few steps away, I never paid much attention to the shoebox-size restaurant next door. The Astronomer, Danny, and I were seated at a table fit for four in Pearl’s surprisingly stark white dining room. The menu here, which is divided into dumplings, rice, noodles, and appetizers, is all sorts of homey and priced beyond reasonably. 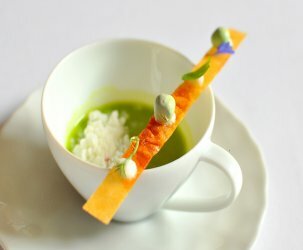 Danny took the lead and ordered an array of dishes highlighting what the restaurant is best known for. 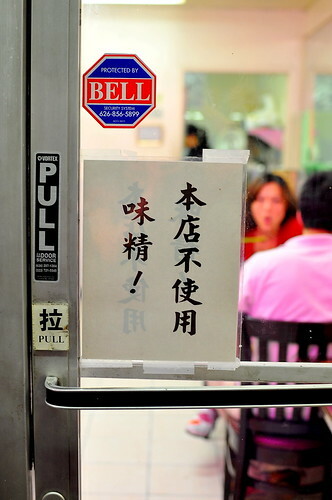 By the way, the sign on the door states that the kitchen does not dabble in MSG. 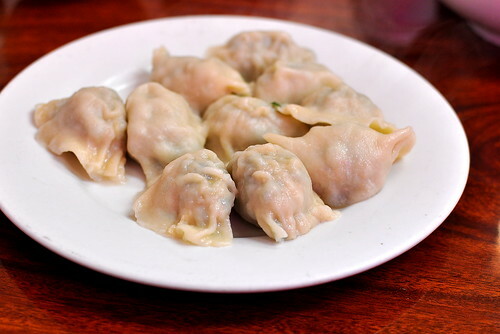 To start, we shared a plate of pork boiled dumplings ($5.25). I slathered mine in the house-made chili paste, while The Astronomer went for a combination of soy sauce and vinegar. The dumpings’ skins were neither too thick nor too thin, while the filling was noticeably lean and well seasoned. The next dish to arrive was a steaming bowl of beef noodle soup ($5.75). It seemed that everyone around us was slurping a bowl, and I was excited to get in on the action. 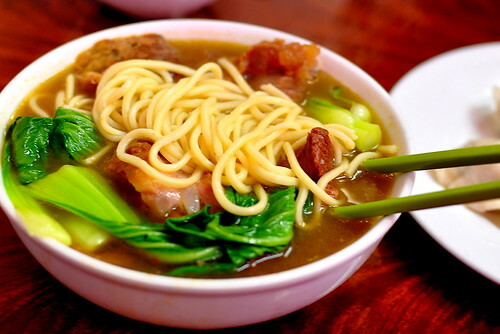 The noodle soup was brimming with slices of tendon and beef, along with lightly blanched bok choy. Though I found the dish very comforting and appealing, I didn’t think the broth and noodles were as memorable as Kingburg Kitchen‘s—they make my favorite beef noodle soup in town. 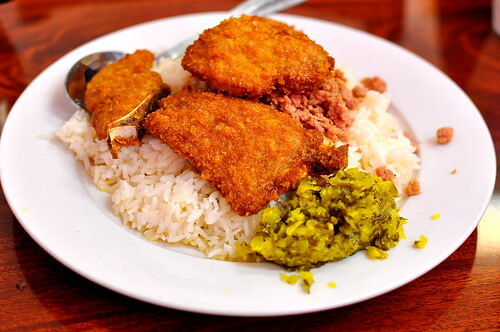 Danny’s go-to dish is the “pork chop rice” ($5.75). The hefty platter included fried bone-in pork cutlets served atop white rice and garnished with minced pork and pickled mustard greens. The chops, which had a crisp and golden panko coating, paired divinely with the fluorescent relish that reminded me of bread and butter pickles. 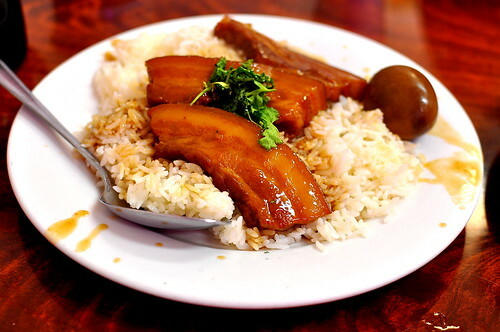 The highlight of the evening for me was the braised pork belly ($5.75), a Taiwanese version of my beloved thit kho. The tender slices of belly, coupled with the soy sauce-imbued hard-boiled egg, were a winning and familiar combination. Danny….don’t hold back. Give her the complete treatment of our Taiwanese cuisine. I think she and the Astronomer can handle it! Ohhh I’ve had that beef noodle soup at Kingburg – loved it also! Is that considered Taiwanese? Diana – Kingburg has a Taiwanese owner and a mainland chef. The menu is a mix of both Chinese and Taiwanese. Great post! 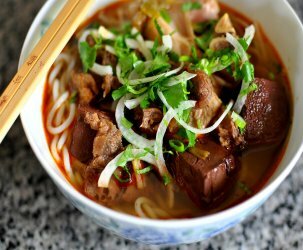 The beef noodle soup looks amazing! My fiance is the biggest fan of thit kho, we have it at least every other week. Now I want some Thit Kho and a hard boiled egg…comfort food. 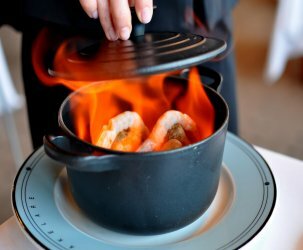 Three cheers for Taiwanese cuisine! Represent! Ahhhhh!! Braised pork belly looks amazing (as well as everything else). I hope my non-Taiwanese self can manage ordering there! Marie – The pork belly had a strange name on the menu. Show the pic above to the waitress and she’ll hook you up 😉 Everything else on the menu was very straightforward. Doesn’t get much better than braised pork and eggs. BTW did I spot you on the Top Chef Masters restaurant wars episode?